As part of my Digital Tools and Methodologies module we were tasked to create a report on our experiences using Digital Mapping Tools to help relief projects from around the world. 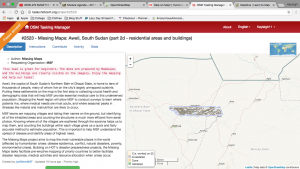 We were asked to use Mapswipe and OpenStreetMap in order to carry out our research. This report outlines my findings as well as my opinion on the outlined tools. Mapswipe is a mobile application created by various organisations like the British Red Cross, Humanitarian Open Street Map and Bing Maps. The app allows users to help aid relief projects around the world from the comfort of your own home. Users are given clear instructions with how to use the app and can regularly look at tutorials for the app, at any stage. What is beneficial is that users can download a certain amount of the map so that they can work on the map even when they are not connected to WiFi or 4G. 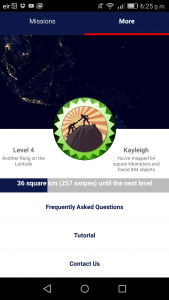 The users are rewarded depending on how much they map, with medals and have the ability to level up win the app judging by the distance that a user has mapped. Fig 1: Screenshot of Mapswipe showing the incentive menu on the app. 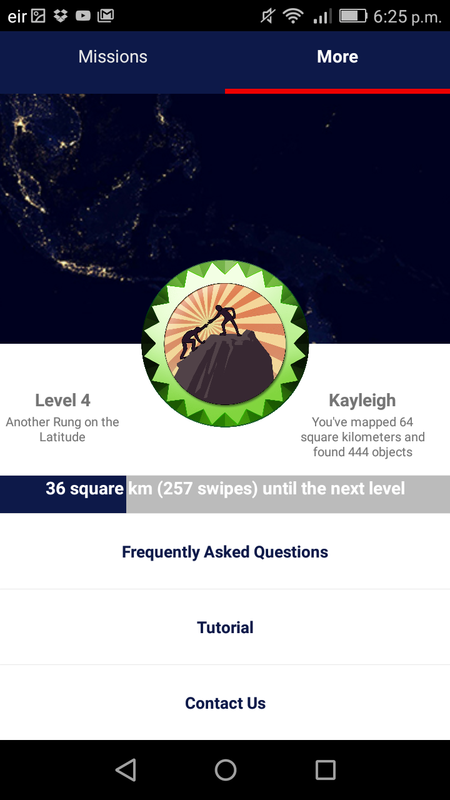 In my opinion, MapSwipe is a great way for beginner mappers to get an idea of how the process works. Because one of the groups behind the app is Open Street Map, you can see similar keys used to locate buildings and houses in both mapping programs. While carrying out this report I began the process using Mapswipe and personally it helped to build my confidence with mapping before I got involved with the tools we were asked to look at. It was a new resourceful way of spending my downtime as it keeps you engaged to find new objects in the map while also allowing you to help map areas that are in desperate need of help. Using MapSwipe allowed me to help these people in a fun and engaging way which didn’t feel either forced or like work. In contrast, Humanitarian OpenStreetMap is a much more challenging way to map and has less of an incentive base compared to MapSwipe. This is perhaps due to the nature of the software as Mapswipe is a mobile application and HOT is website based. However, their cause and mission is the same; to map smaller towns and villages so relief aid are made aware of where the aid needs to be delivered to. HOT is much more detailed than MapSwipe and you do spend a lot more time going over your assigned area making sure that you map the entire area, ensuring that all the information on the map is taken into account. This makes HOT a lot more time consuming that MapSwipe but once again it is easy to remember why you are taking the time to map your designated area. Although HOT is a lot more detailed than MapSwipe there is a large amount of resources available in order to get to grips with the programme and to be able to use it well enough to be able to brave the next step; mapping squares. 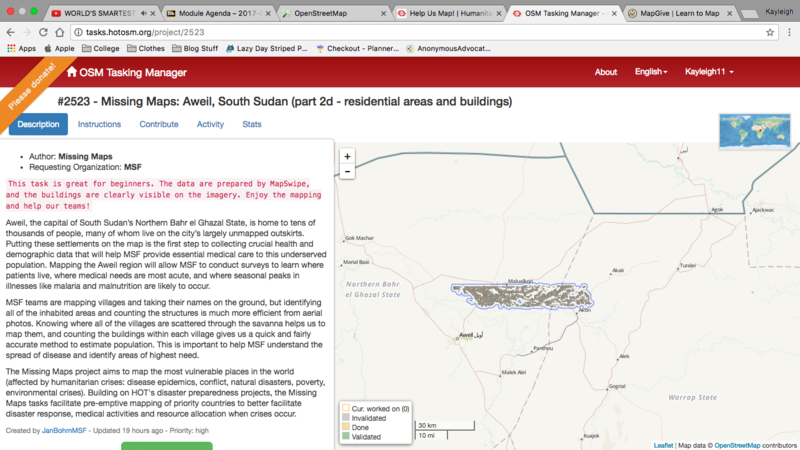 For this exercise, I found a mapping project, in South Sudan, that was described as being good for beginners and that was also similar to the type of work I was doing on MapSwipe; looking for buildings only. Using this map helped me to use my experience that I had gained on MapSwipe and apply it to a larger scale on HOT. There is quite a lot of projects to map on the site and what is helpful is that each project usually tells you whether it is suitable for beginner mappers or for more experienced mappers. As I became more used to the format on HOT, I found myself mapping more and more on this particular project as there was not a whole lot of it mapped already so it gave me a good amount of area to cover in order to get a better understanding of the mapping process. While mapping both on HOT and on MapSwipe it was often highlighted the impact that your work would have on the people living in the are that you were mapping. 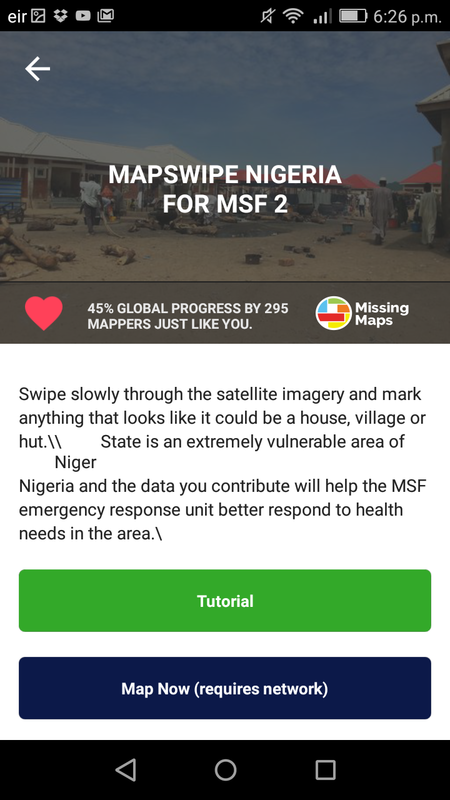 Whether it was Mapswipe continually saying ‘Thank You” or even having information about the region in HOT, users can’t escape the satisfaction you feel knowing that this little effort on your part, is vital to the lives of others. Along with HOT is the software that it is run on OpenStreetMap, which is made up of users who use their personal experiences to edit maps of areas around the world. When I looked at the map of my local area I found that there was some slight errors which are often mistakes I see in real life. For example, in my area there are three places with the same titles but are different in terms of layout e.g. each are named Clashduv but are differentiated in terms of terrace, estate and villas. On normal maps there is no difference which makes it look like they are all the same place but they are dotted in different areas. So I took it up myself to correct these errors on OpenStreetMap in the hope that it will prevent future confusion to users. I also added in a Doctor’s Surgery, General Shop and a Hair Salon which has been in business for over 25 years. In conclusion, the process of digital mapping is a interesting one that can be used in many fields of study. This is very interesting to me as I am currently studying English as a minor subject in my degree. 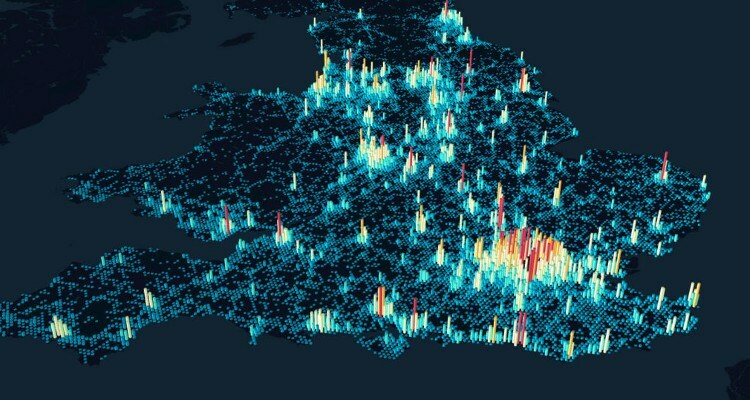 At the beginning it was hard to see how digital mapping could be applied to the field of English but after some research I found that there is quite a few projects highlighting how mapping can be used. One of these is a project entitled Mapping Ulysses which allows users to follow the path of the novel, chapter by chapter, through the streets of Dublin, using maps from the time the novel was published and also contemporary maps. 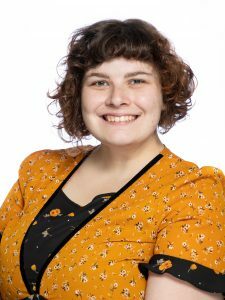 In terms of more modern literature, there is a project which used data from the U.S. Bureau of Labour Statistics in order to try and map the districts from The Hunger Games series by Suzanne Collins. Fig. 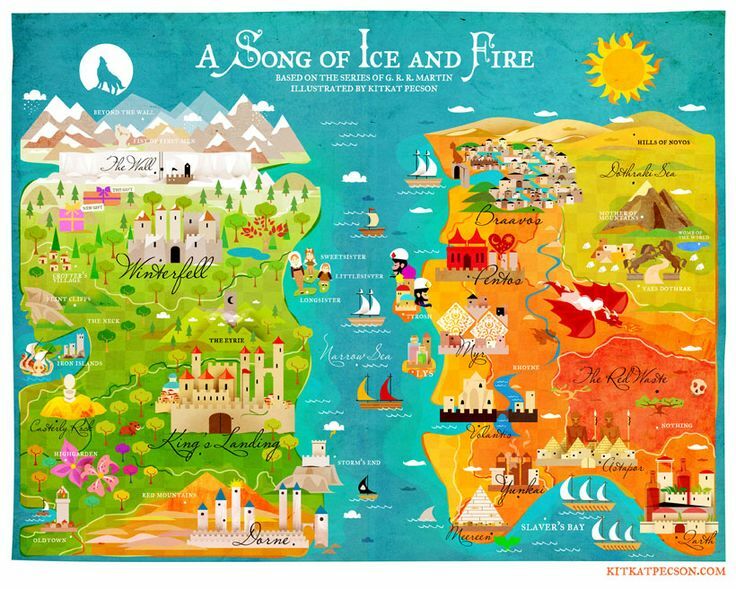 3 Map of Westeros for Proposed Mapping Project. 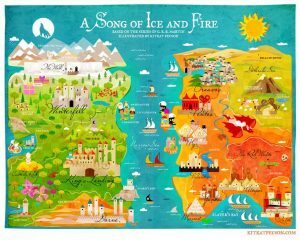 I find this very interesting and would perhaps like to do a similar project with the A Song of Ice and Fire series by George R.R. Martin. Martin was influenced by both Old/Middle English texts and also Historical Battles which are known to be some of the main inspiration for the events in the books. In my opinion it would be interesting to map the locations of the events in the series with added information about the actual historical events that it inspired.